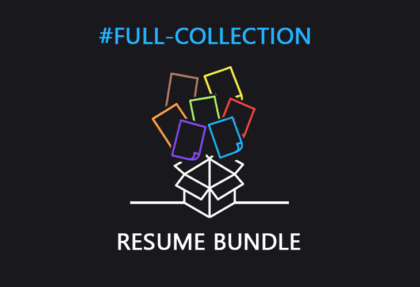 Full Collection – Resume Bundle at the Price of 2 Resumes! 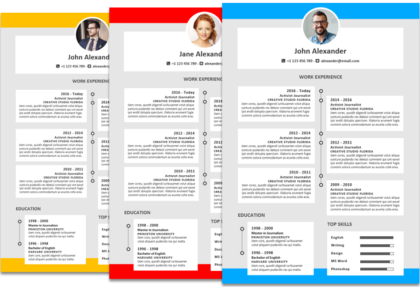 All resumes, all layouts, all cover Letters, all references – in all colors. 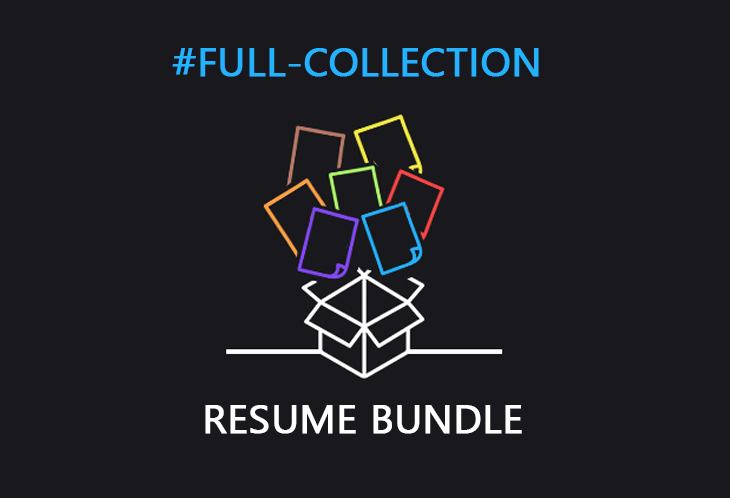 The Full Collection – Resume Bundle is a great deal, only available for a limited time. Full collection, all colors. This package includes ALL the resume templates, types and models present on this website. You will be able to download all pages available for each design (page 1, page 2, cover letters, reference pages), in all styles, in all colors. Price of 2 resumes. That’s right, the price of the full collection is $49,90 only (for a limited time). This is the price of 2 resumes, package 2 type – $19,90 x 2 resume templates and you get all the perks. Wide choice. Perhaps you like more than one design, so why be restricted to only try one. 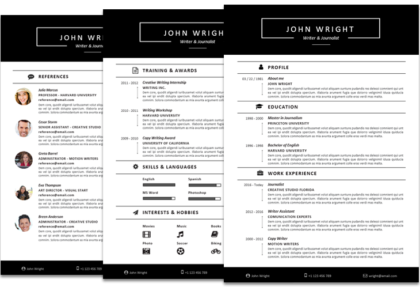 By purchasing the full collection you’ll have a wide choice of resume templates to pick from. You can start compiling one template with your information, see if you like it, if not you can try another one – or all of them! Lifetime new templates. 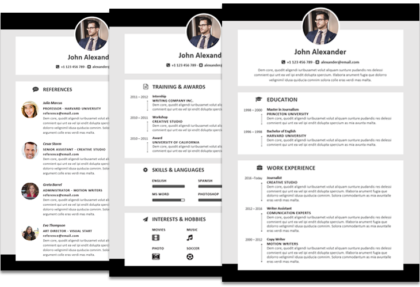 Not only you’ll be able to download all the resume templates from this collection, but you will also be able to download all the new resume templates that will be released in the future. They will automatically appear under your account, ready for download, free of charge! Lifetime license. Your license will have no expiration. 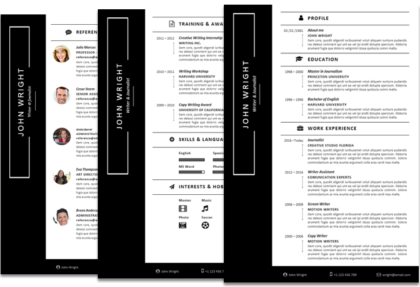 You get access to the full collection of resume templates today, you will be able to download the new ones, forever. Lifetime price locked. Even if the price of this resume collection will go up, you will always have access to the full collection for the price you originally paid. Lifetime updates. The resume templates in the collection may get updated from time to time, to keep current with new Microsoft Word releases, bug fixes, etc. 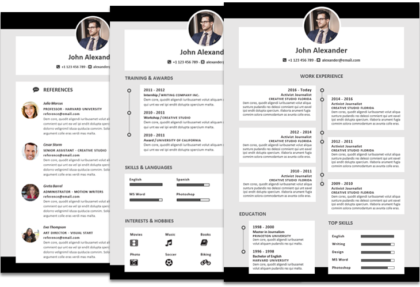 When you purchase and download a resume template, you’ll be always able to download the latest updated versions in the future, for all the templates. Lifetime priority support. Users purchasing the full collection get priority support. If you will have any issues when compiling the resume template of your choice, you can write to the support team and you will always be assisted before regular users. This applies not only on your first purchase, but also if you’ll go back to work on your resume the future. By purchasing the full collection you get lifetime priority support. The full resume collection is exactly what I needed. Now I can just pick the resume template for Word that I like. 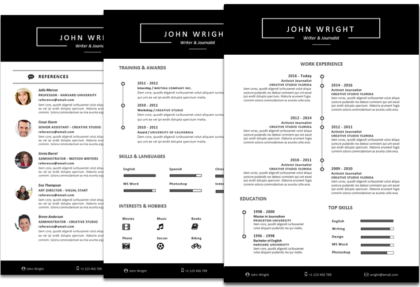 The full resume collection is amazing, because it comes at a very special (cheap price). Good idea to have all resumes, cv, curriculum in one collection, all for MS Word. This cv resume collection is a great deal and comes at a very good price, at least 10 resumes included all in one package. 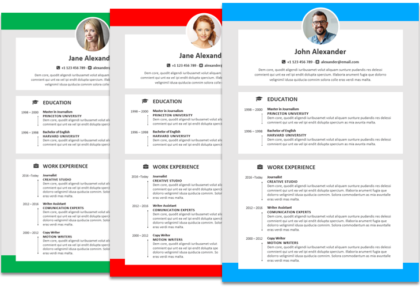 A curriculum collection that you can’t miss, this is the final resume tool package you’ll ever need. I think that now that I have this complete resume collection for Microsoft Word I won’t need to buy a resume design every again. For sure the best collection of Word resume templates in the market. Well, a resume collection with photos, colors, black and white, it’s a very wide selection of options. I felt advising this modern, creative and professional resume collection to all my friends in need of a job these days. I like how easy is to edit the resume templates in this collection, Microsoft Word Office is very easy to use and format.